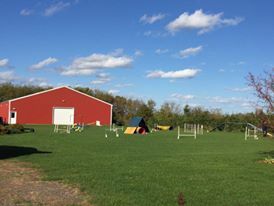 Agility lessons are at our outside location in Buckman, Minnesota throughout the summer. The field is a large, flat, grass surface and we have all equipment for training. Lesson times are very limited, but feel free to contact me for any availability. I do keep a wait list. My goal is to prepare teams for competition. 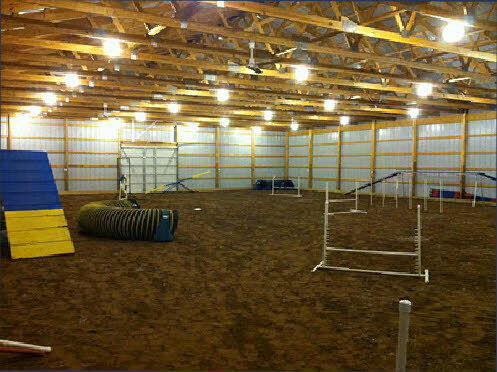 If you are just wanting to try out agility to see if it is for you and your dog, please contact me and I can put you in touch with several clubs/trainers around your area that you can attend a class and see if it is the sport for you! 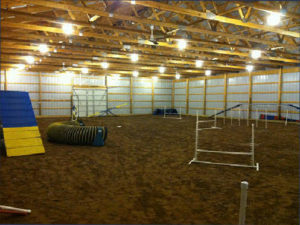 We do all our winter training in our agility barn. It is a 60 x 80 building with a dirt/clay mixture to run on! The surface is amazing for both dogs and their handlers!